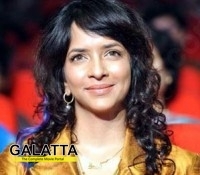 With Maranden Mannippen, Tollywood star Lakshmi Manchu is all set for her Kollywood debut. The actress-producer is already on cloud nine after signing Mani Ratnam's Kadal and Ram Gopal Varma's Department. Interestingly Maranden Mannippen will be made simultaneously in Telugu as Gundello Godhari. Aadhi and Taapsee will play the lead roles in this flick and Ilaiyaraaja is the music director. Apart from playing a prominent role Lakshmi Manchu will also produce the film under her home banner. The film deals with the 1986 floods and will narrate the story of four individuals (Aadhi, Sundeep, Taapsee and Lakshmi).